Earlier this year (January, 2018) Health Impact News reported that Dr. Suzanne Humphries had received gruesome death threats, most likely because of her public views against mandatory vaccines and exposing the dangers of vaccines, which are routinely hidden in the corporate media. Dr. Humphries went public with these death threats in a public livestream video broadcast with Polly Tommey, the co-producer of the film VAXXED, on the VAXXED Facebook Page. The video soon went viral and received over half a million views. These threats were reported to the FBI, but now Natural News is reporting that instead of investigating the threats, they started a criminal investigation against Dr. Humphries, accusing her of being behind the death threats herself. Info wars is not a good platform for any reputable discussion, I am very surprised with AJ's and info wars reputation for being a shill anyone of integrity would want that platform. I really had great respect and trust for your series the health ranger but now I just say you really can't trust anyone and I am sure that is why you got that platform to begin with. I read and reviewed Dr. Humphries' book "Dissolving Illusions" back in 2016. It's a wonderful eye-opener for the brainwashed masses of the propaganda media and vaccine mafia. And back then I feared the vaccine mafia may try to harm her. And now this show confirms my feeling was right. 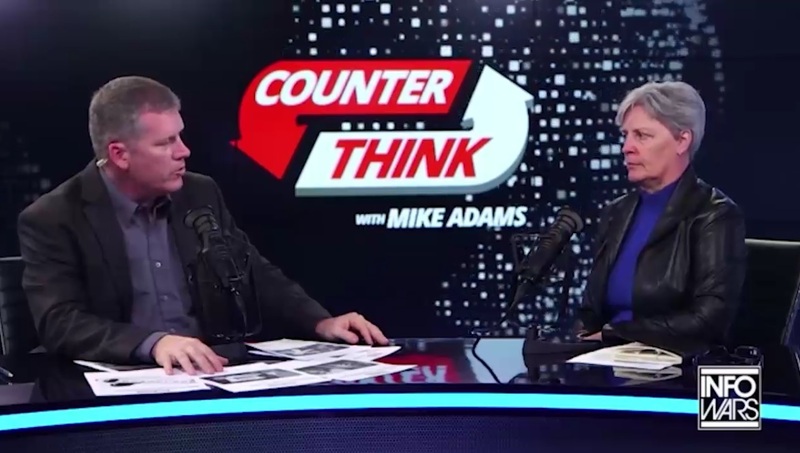 I admire both Suzanne and you at Infowars to continue fight for the rights and education of the common citizen against the tyrannical state-sponsored vaccine/pharma mafia. Sharing this interview now on my blog Word Matters! Wish you both well!! !